Although London doesn’t rank in the top largest cities in the world in terms of geographical size or area, don’t be fooled — this city still has a lot to offer to both locals and tourists. You will be amazed at the numerous popular and lesser-known landmarks, restaurants, bars, clubs, and other tourist spots you will find here. And you’ll be in a great position to see or visit all these amazing sights when you have your own ride. Public transportation in and around the UK is one of the best in the world. But nothing can beat the comfort and convenience of having your own vehicle, more so a luxury car with chauffeur, when you want to go on a London tour. 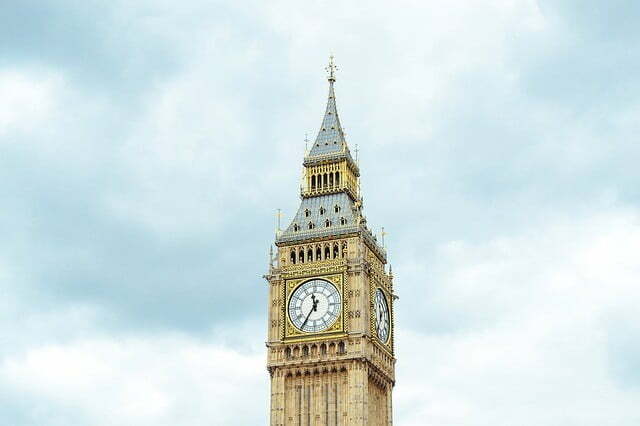 Easily one of the most recognisable landmarks in the world, Big Ben is a tower clock that measures 97 metres. All holidaymakers in the UK have a photo with this iconic landmark so visiting it and having a photo beside or in front of it is a must. Another great thing about stopping by Big Ben is you get to visit another well-known tourist spot: the Houses of Parliament. Simply known as the Parliament, it was originally the location of the royal Westminster Palace during the reign of William the Conqueror. It is now the seat of Britain’s government. If you’re interested to see British politicians wearing their traditional black robes and watch them engage in lively debates or political discussions, sign up for an inside tour. What’s a tour of London without a visit to Buckingham Palace? Although there is a very slim chance you’ll get a glimpse of the queen or any other members of the Royal Family, a stop at this iconic British landmark is worth your while to see the amazing palace and to witness the Changing of the Guard. Just make sure you’re here at exactly 11:30 in the morning. If you want to go inside the palace, during summer, you can get a ticket to tour the State Rooms, the Queen’s Gallery, and the Royal Mews. The 4.5-hour Buckingham Palace Tour also allows you to see the Changing of the Guard Ceremony and an experience a Royal Afternoon Tea. With the Tower of London being a World Heritage Site, you’ll get a great taste of British history with a visit to these two landmarks. The Tower of London is also home to numerous royal armaments and armours. You will also be able to get a look at the famous Crown Jewels exhibition. 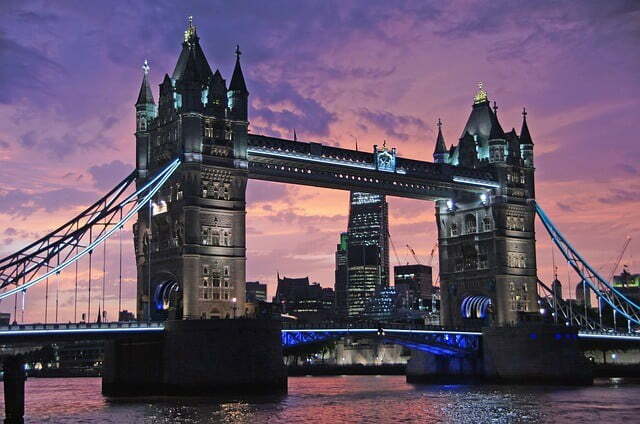 Have a look at the River Thames and the Tower Bridge – famous tourist spots – when you’re in the area as well. Do you want to see some local flora and fauna in London? Head to Hyde Park. This 350-acre park is London’s largest open space and is one of the city’s eight Royal Parks. Once you’re here, check out the Serpentine Lake, Speaker’s Corner, and the Diana, Princess of Wales Memorial Foundation. Regardless of the season, you will enjoy a visit to Hyde Park and you won’t run out of things to do here. If you still can’t get enough of the royals, stop by Westminster Abbey. This historical landmark was founded in 1065 by Edward the Confessor which he designated as his place of interment. From his burial in 1066 until that of George II, many sovereigns were crowned and buried here. Recently, it has also become the preferred location for Royal Weddings. Antique enthusiasts won’t regret a visit to the British Museum since it is home to more than 13 million artefacts from the ancient world. Its most famous exhibits include the Elgin Marbles from the Parthenon, the Rosetta Stone, the colossal bust of Rameses II, a number of Egyptian mummies, and the Mildenhall Treasure – a horde of 4th-century Roman silver artefacts. Trafalgar Square is one of the most famous man-made landmarks in the world. While you’re here, you will be amazed at Nelson’s Column, a 56-meter granite monument that overlooks the square’s fountains and bronze reliefs which were originally cast from French cannons. Other nearby tourist spots you should visit include Admiralty Arch, St Martin-in-the-Fields, and the National Gallery. Piccadilly Circus refers to the junction crisscrossed by Piccadilly, Regent, Haymarket, and Shaftesbury Avenue. When you go here at night, you will be impressed by the numerous lovely Piccadilly Lights. Aside from Trafalgar Square, drop by the Shaftesbury Memorial Fountain, the London Pavilion, and Ripley’s Believe It Or Not Museum as well. If you want to get some rest, have a bite to eat and sneak in some shopping in between, head to Covent Garden. Various shops and restaurants are lined up in the area. You will also find a lot of speciality shops and kiosks selling handcrafts, souvenirs, etc. You can also stop by the London Transport Museum which is filled with historic buses, trolleys, and trams in the area. Finally, if you’re a big opera fan, check out what’s playing at the Royal Opera House (which is located here). Although driving your own car is already great if you’re going around London, you’ll experience a superior level of luxury, comfort, and convenience if you hire a car and chauffeur. If you have a luxury car chauffeur, you won’t have to worry about parking and finding routes with little or no traffic if you have your own personal driver. With the help of Belgravia Chauffeurs, you can enjoy a tour of London worry-free in utmost luxury. Faisal Baig is the Director of London Chauffeur Service and Belgravia Chauffeurs, both London-based companies offering unrivalled chauffeur services with total dedication. He is a Senior Sales and Marketing Management Professional with 11 years in high-impact senior leadership roles with a proven record of accomplishments piloting and driving businesses into new marketplaces.